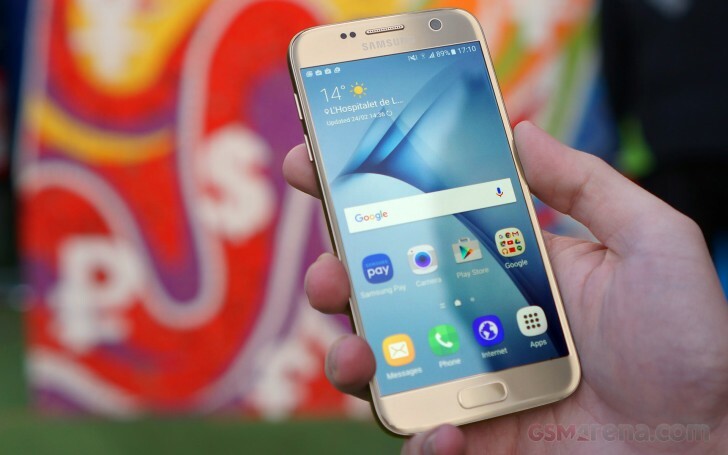 Owners of the Galaxy S7 and S7 edge who participated in the Nougat beta program have already been fed the official OTA of the latest version of Android. Nougat was set to officially begin rolling out on January 17, and we’re already seeing reports of the handsets receiving the major update on unlocked models (SM-G930F and SM-G935F), many of which are in the UK. The update weighs in at about 1.2 to 1.3GB whose build number is XXU1DPLT. Likewise, one user on Reddit reports that Vodafone UK agent confirmed the S7 update will being rolling out to carrier units starting Monday, January 23. 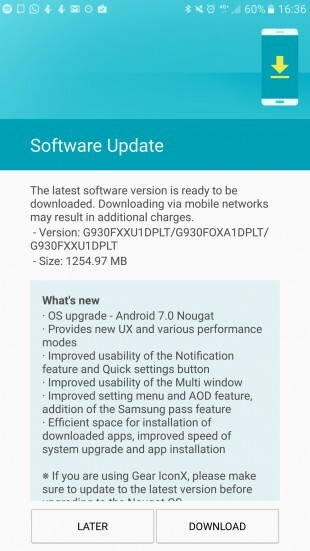 Note that the Nougat update for the S7 and S7 edge is Android 7.0.1 and not Android 7.1.1. There's still no word on if and when we'll see that version of Android in Samsung's flagships. The update brings improved optimizations throughout the firmware, as well as refined features from Samsung such as improved Always On Display features, superior notification control, improved quick toggles, as well as battery enhancements. Meanwhile, the Galaxy S8 rumor mill is in full force. Just yesterday, the Galaxy S8's glass panel was allegedly photographed. Hi.. I've got the Nougat update for my Galaxy Tab S2 finally two weeks ago or maybe a lil more. My review so far that its not what i was expecting, its fi e but there is a lot of bugs and missing options. What do u think about it guys? Is Samsung galaxy tab s 2 9.7 vodafone uk (locked) getting the update ?